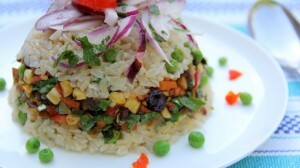 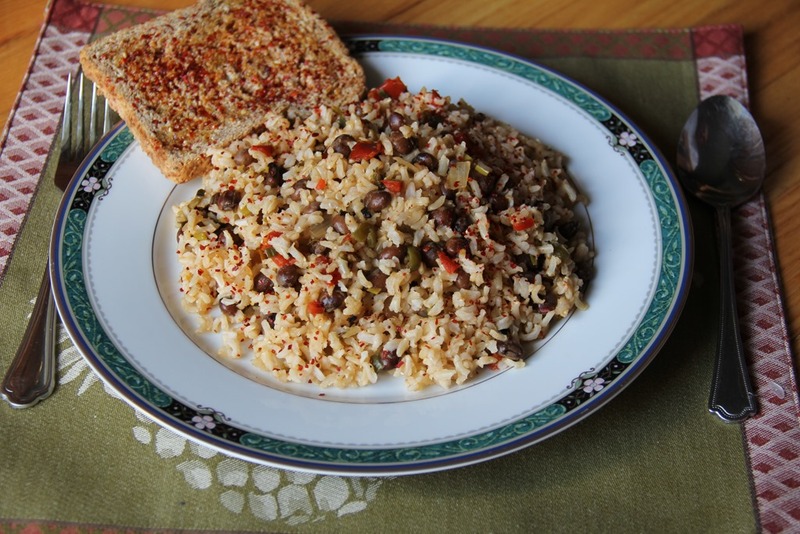 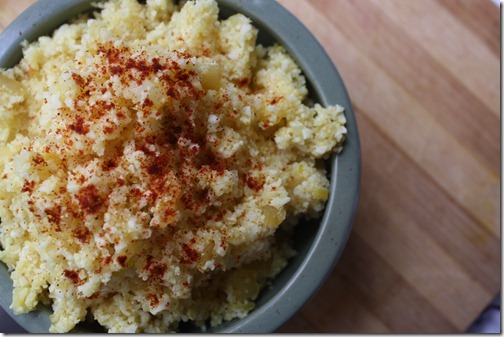 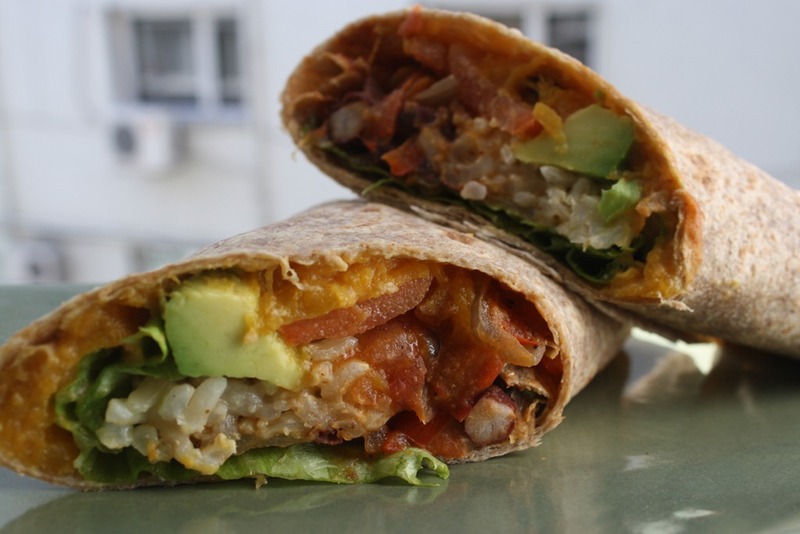 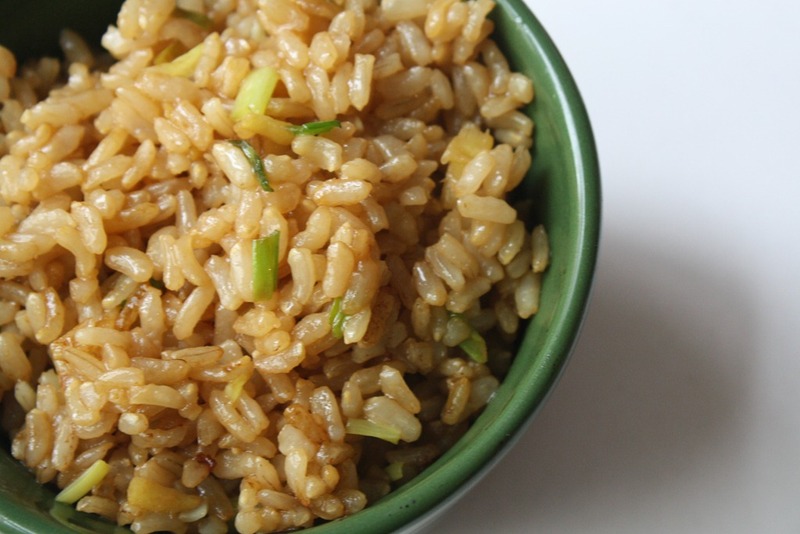 This recipe brings some oomph to otherwise boring brown rice. 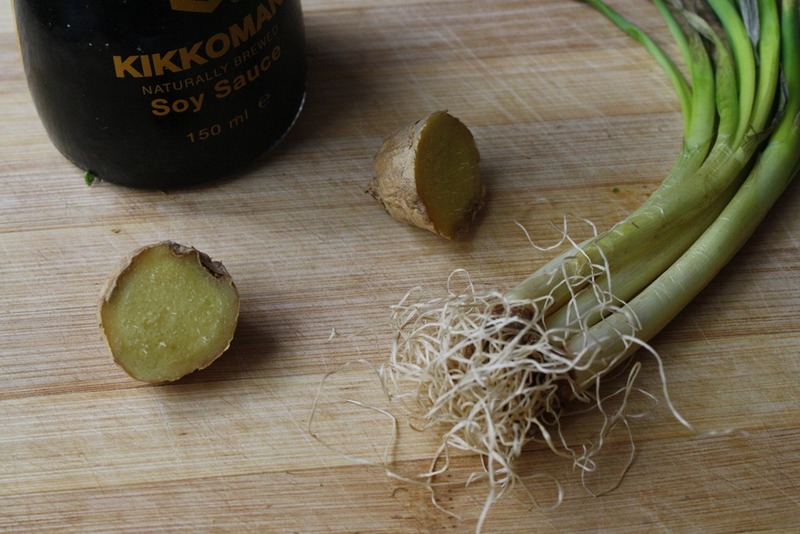 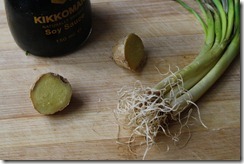 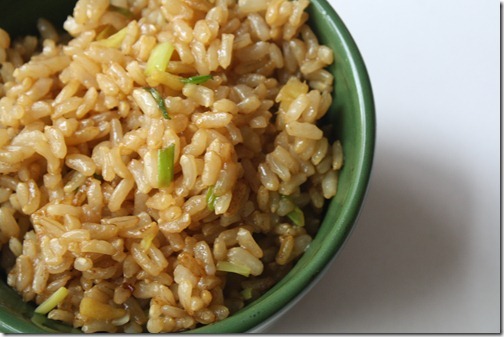 All you need to add is some soy sauce, fresh ginger, and scallions for an Asian flair to this mealtime mainstay. 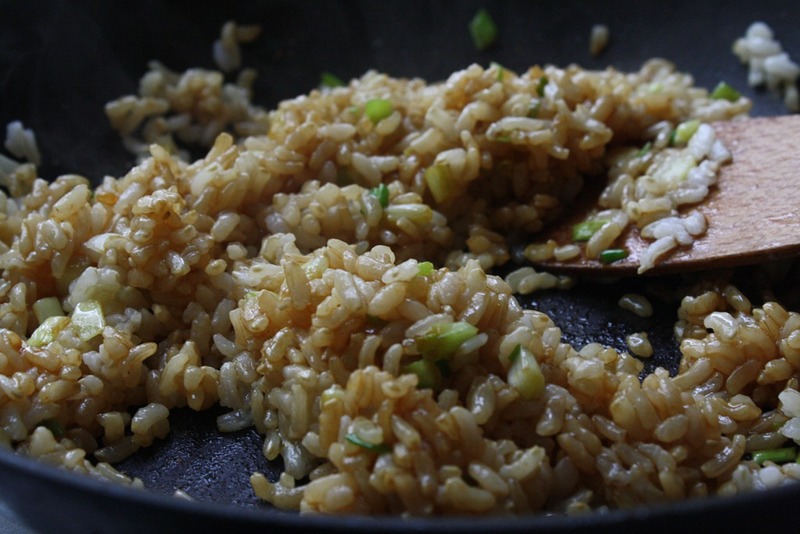 Let’s talk about the glow. Brown rice: is an excellent source of manganese and a good source of selenium and magnesium, provides energy due to its carbohydrate and protein content, lowers cholesterol, provides 14 percent of the daily recommended allowance of dietary fiber, reduces the risk of cancer, decreases pain from rheumatoid arthritis, reduces the risk of asthma, prevents heart disease, and lowers the risk of type 2 diabetes. 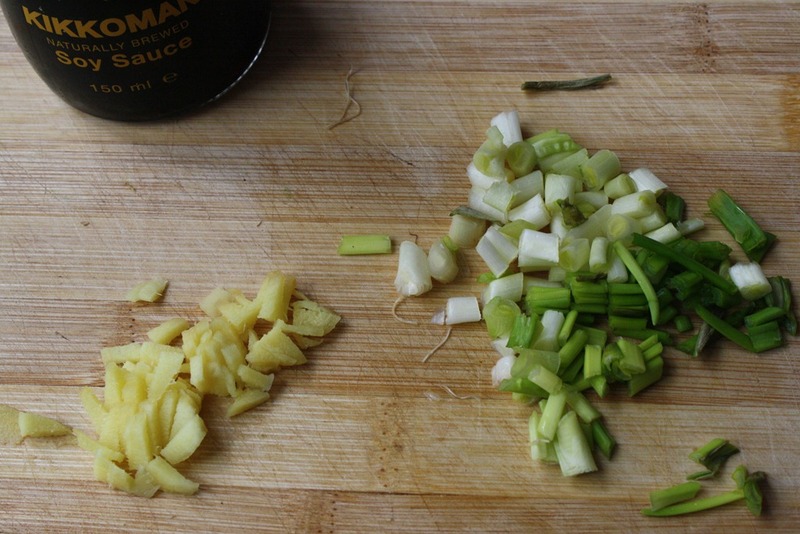 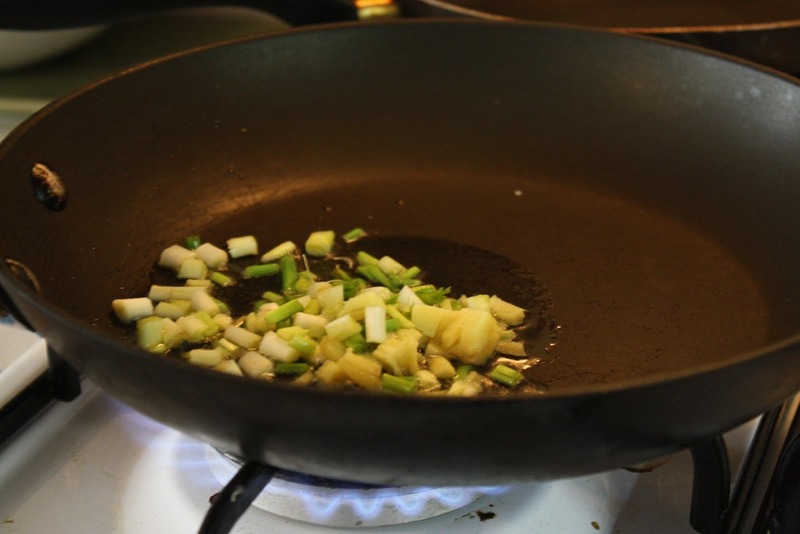 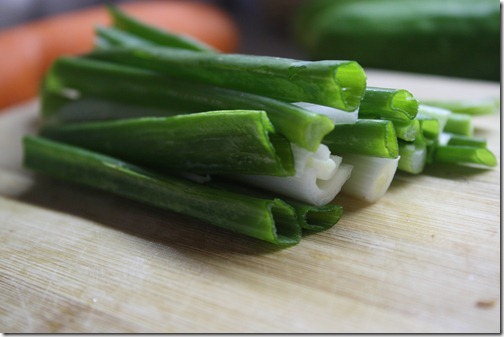 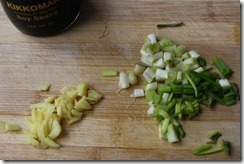 Chop scallions and ginger and add to hot pan with extra virgin olive oil. 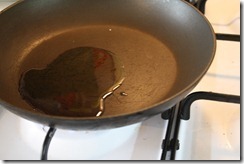 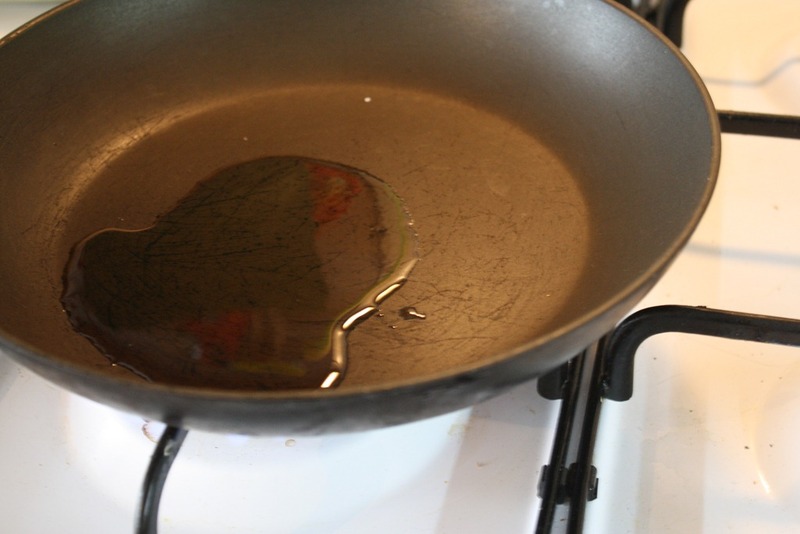 They should make a sizzling sound upon touching the oil. 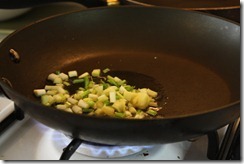 Fry for 30 seconds before adding rice. 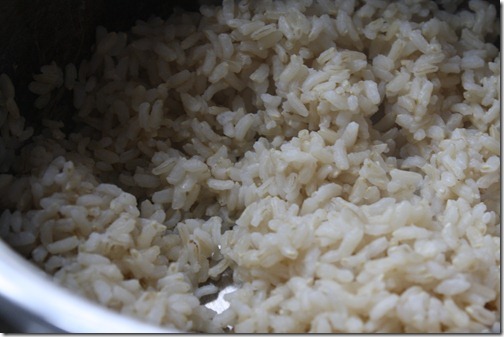 Cook brown rice according to package instructions to yield 1 cup of cooked brown rice. 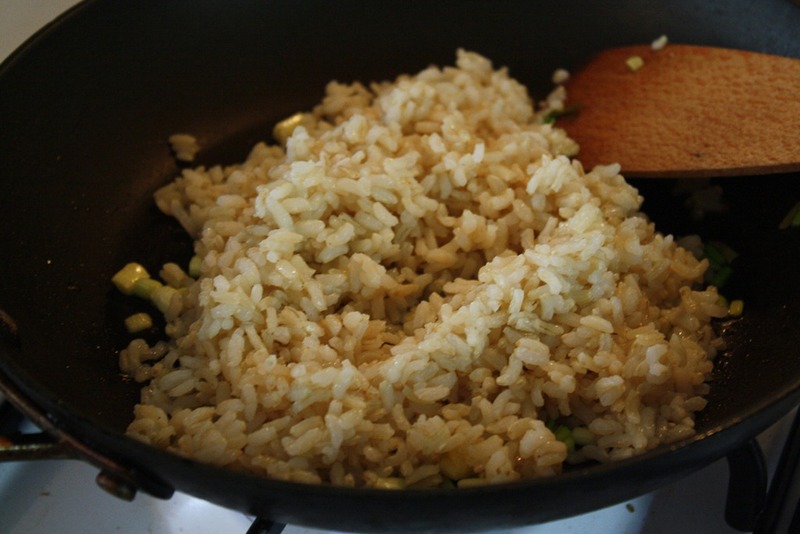 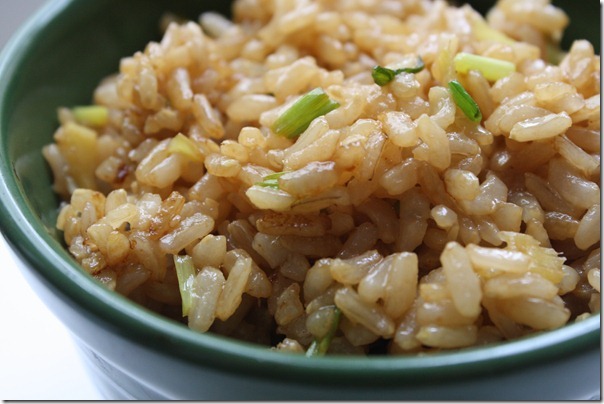 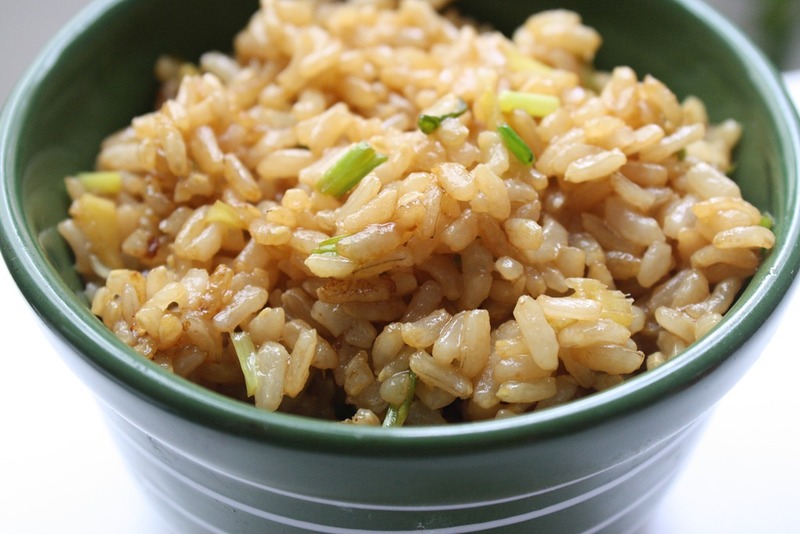 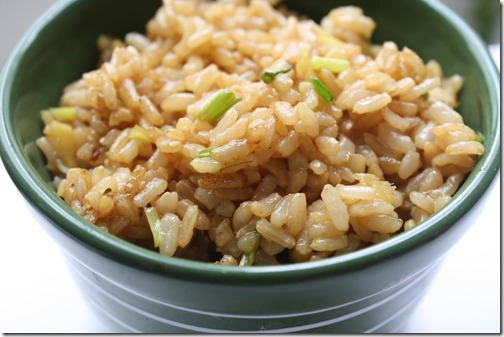 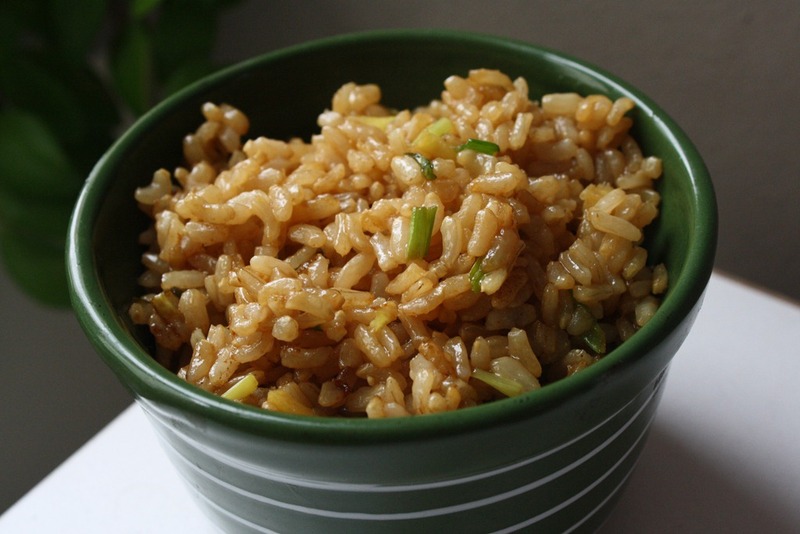 Add the brown rice and 2 tbsp of soy sauce to the pan with scallions and ginger. 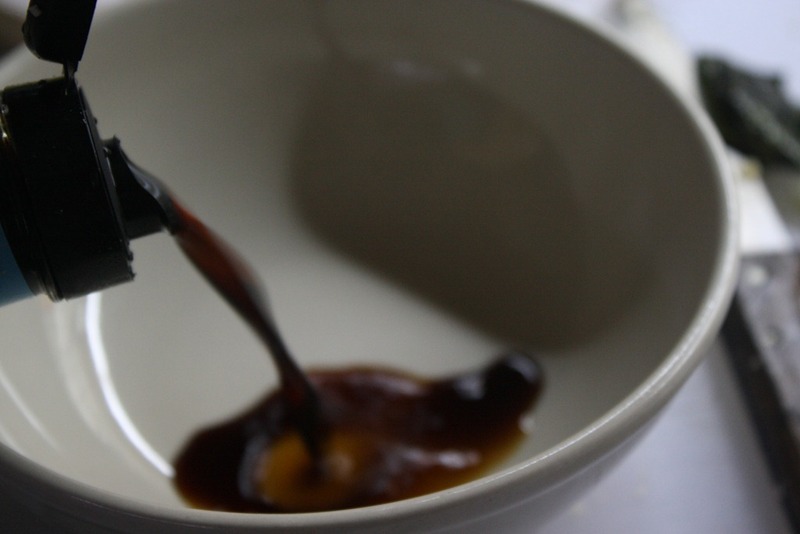 Stir so the soy sauce is evenly distributed and mixture continues to fry for approximately 1 minute. BUT, you won’t miss it. 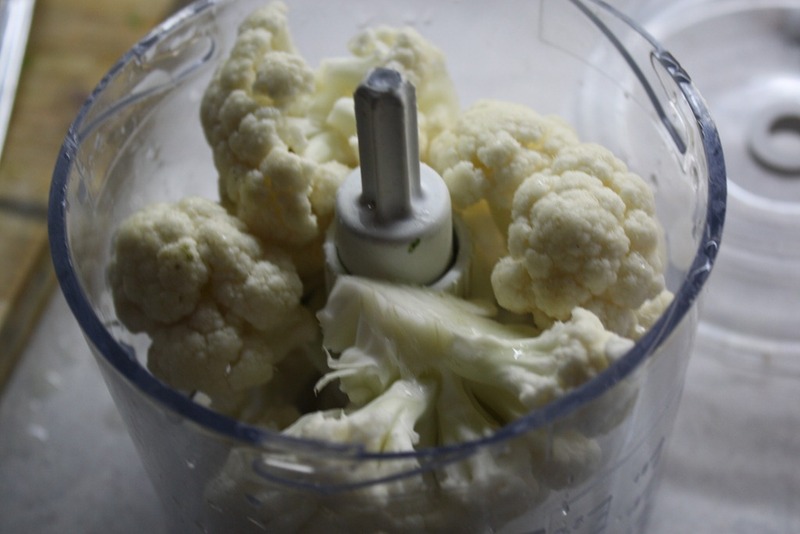 Nothing cauliflower can’t fix. 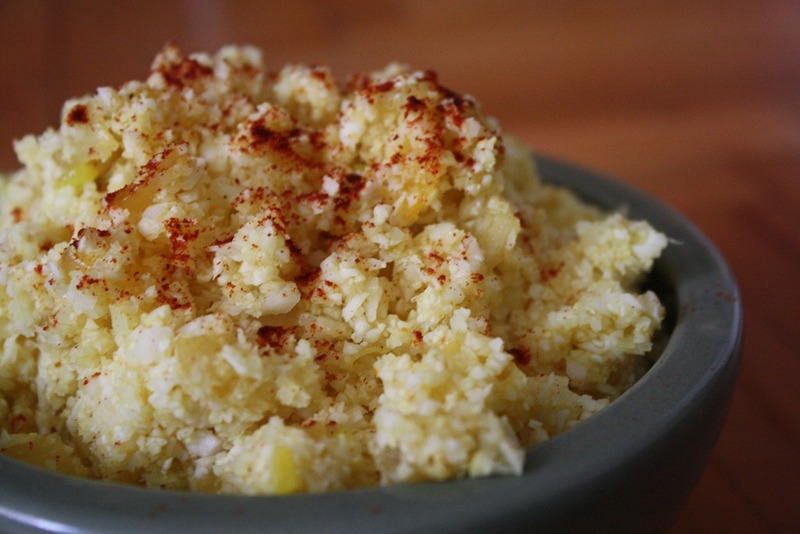 A party favorite. 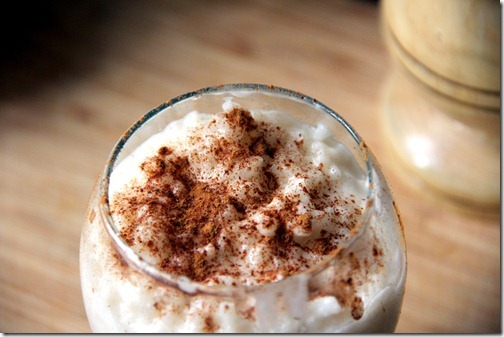 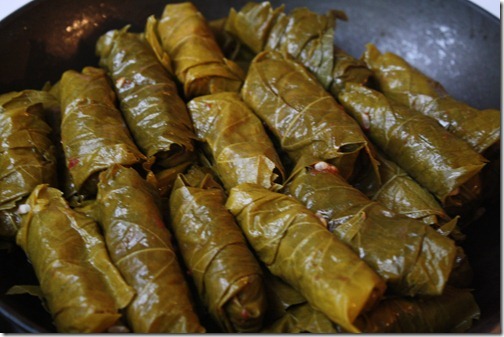 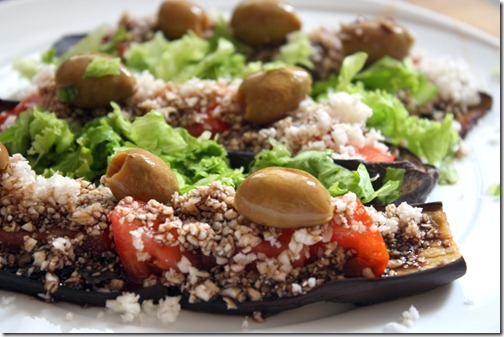 A feast for the eyes, a delight to the taste, and a gift for your body. 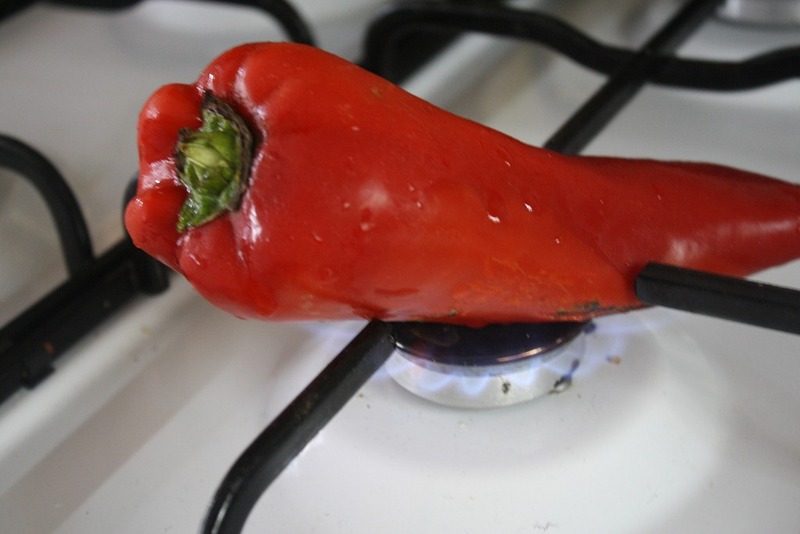 Fire the pepper while you prepare the rest of the vegetables, making sure to turn it occasionally until it is completely cooked through (blackened). 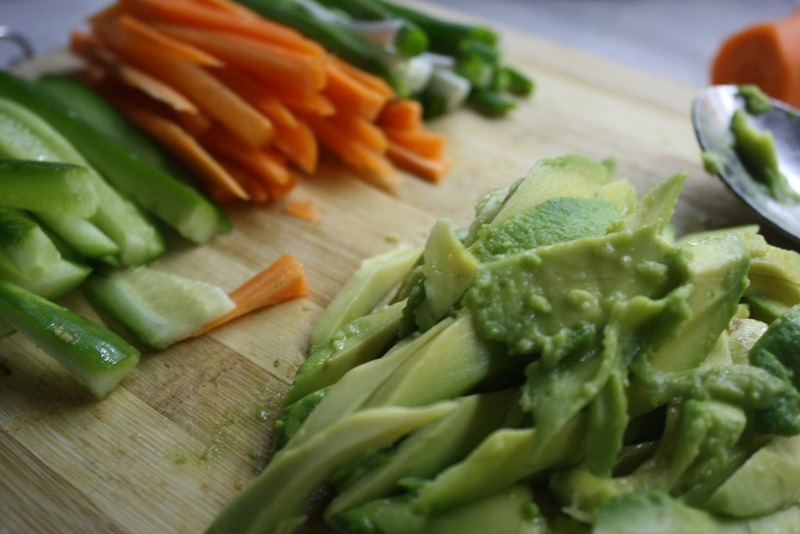 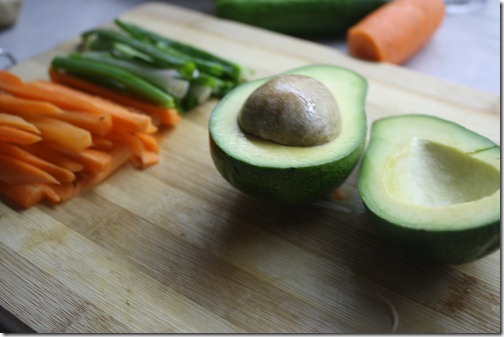 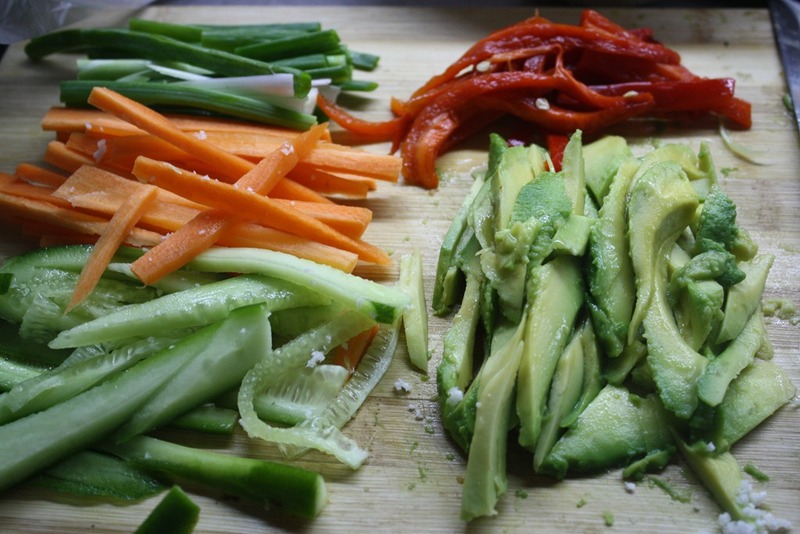 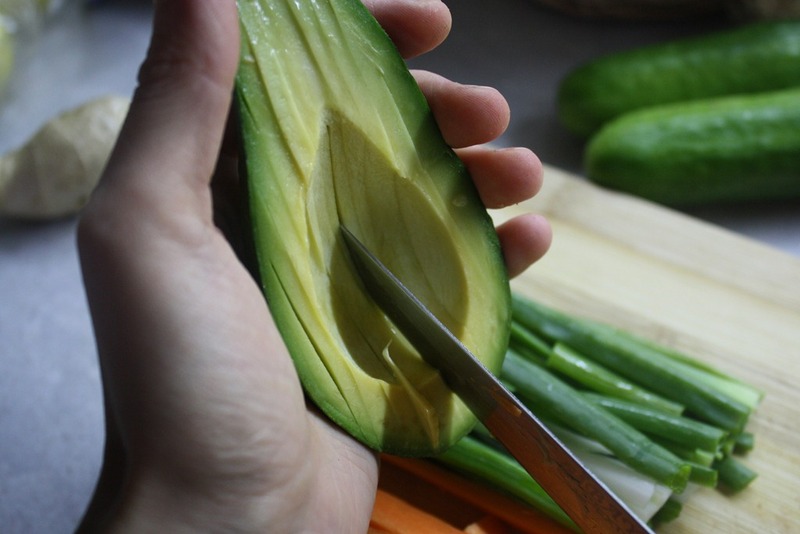 Slice the vegetables into even-sized slices. 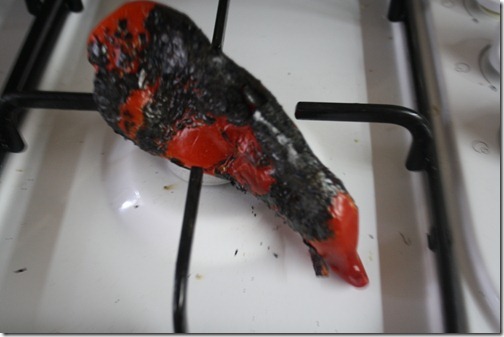 When the pepper is done, throw it into a paper bag for a few minutes, allowing it to steam from its own heat. 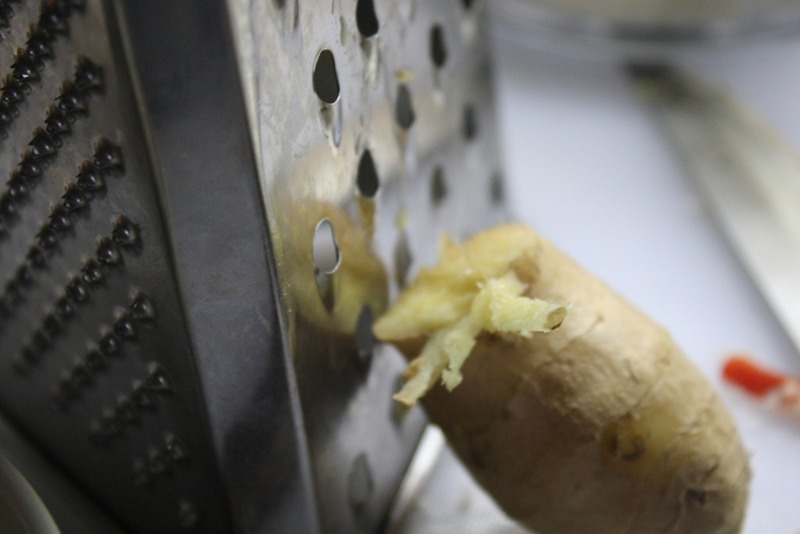 This will make removing the skin a breeze. 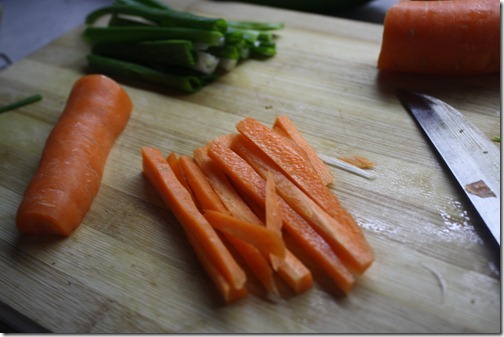 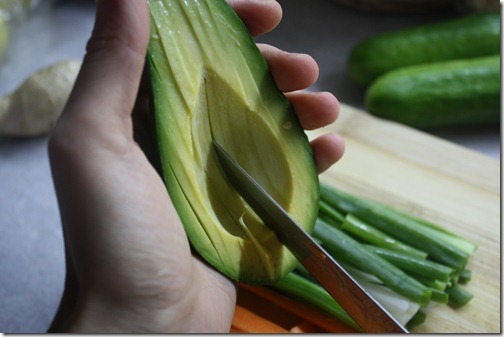 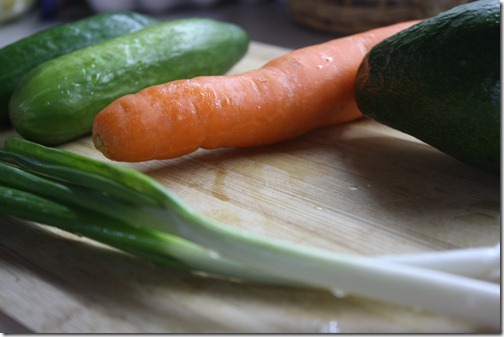 Then chop it like the rest of the vegetables. 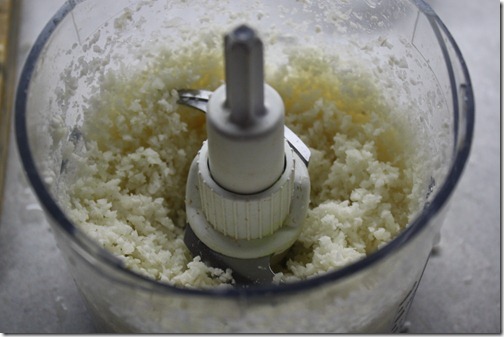 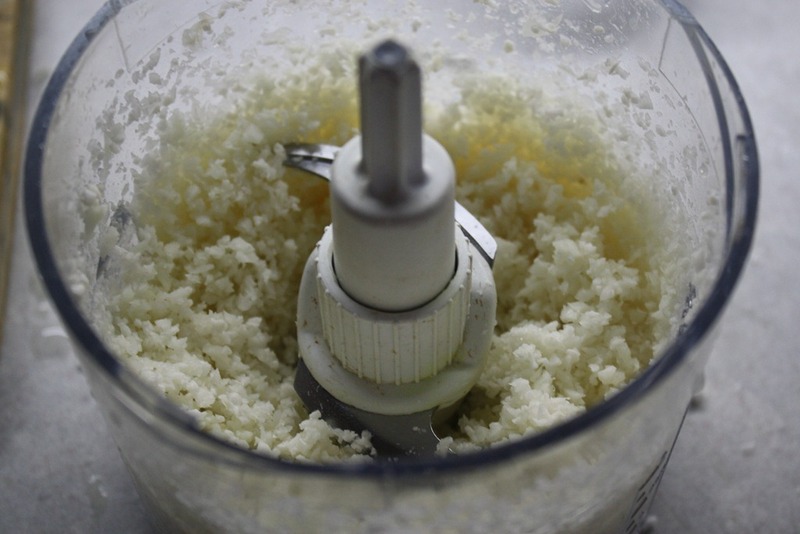 Food process the cauliflower. 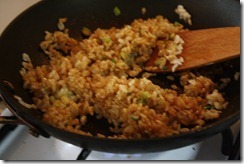 This will be the “rice”. 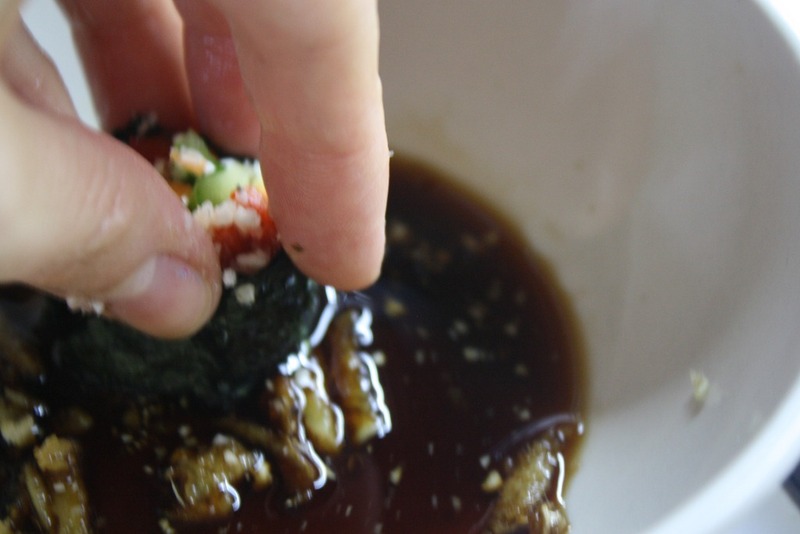 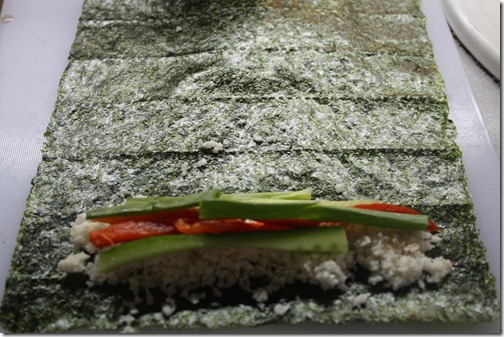 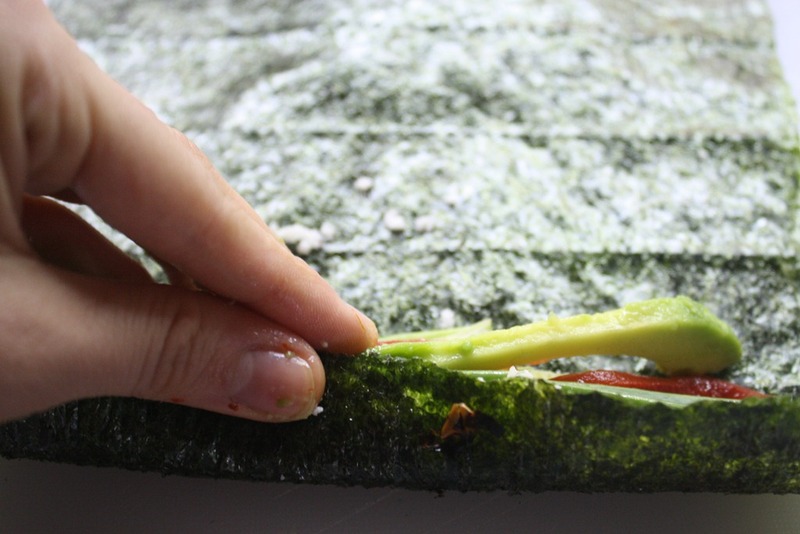 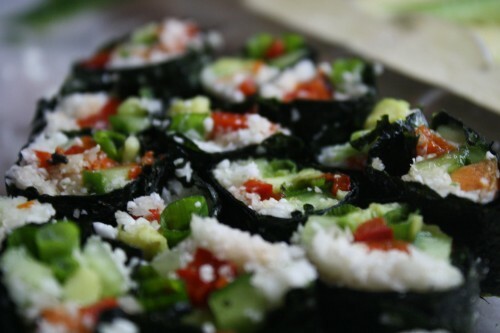 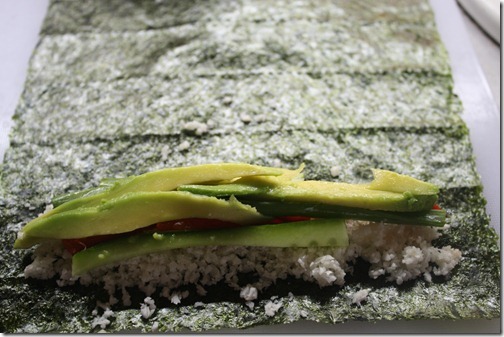 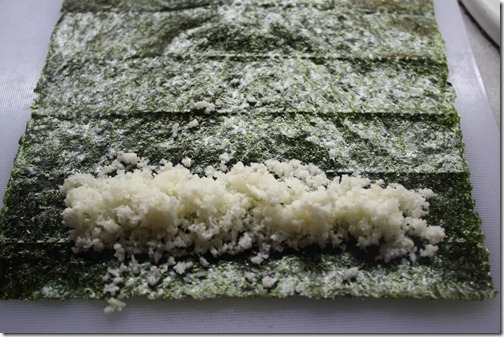 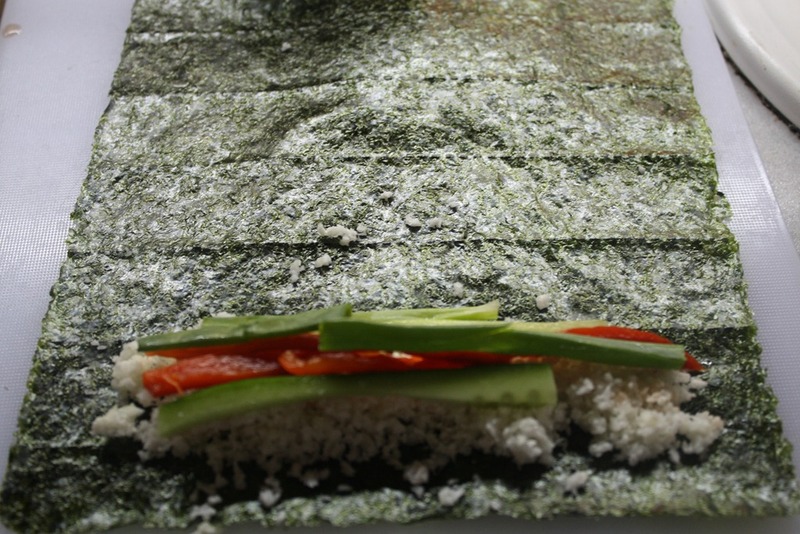 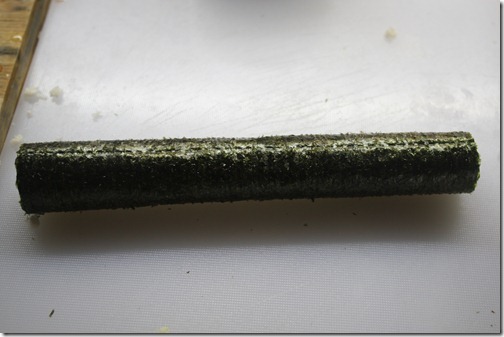 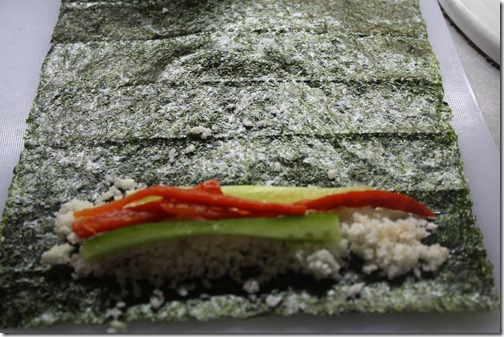 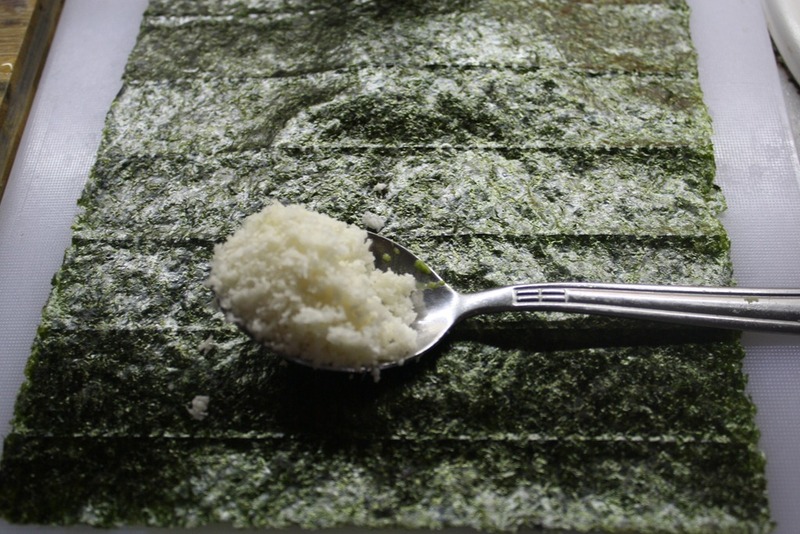 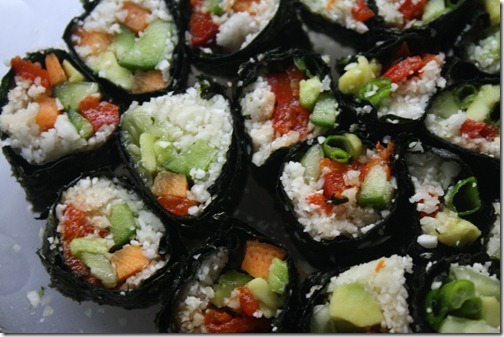 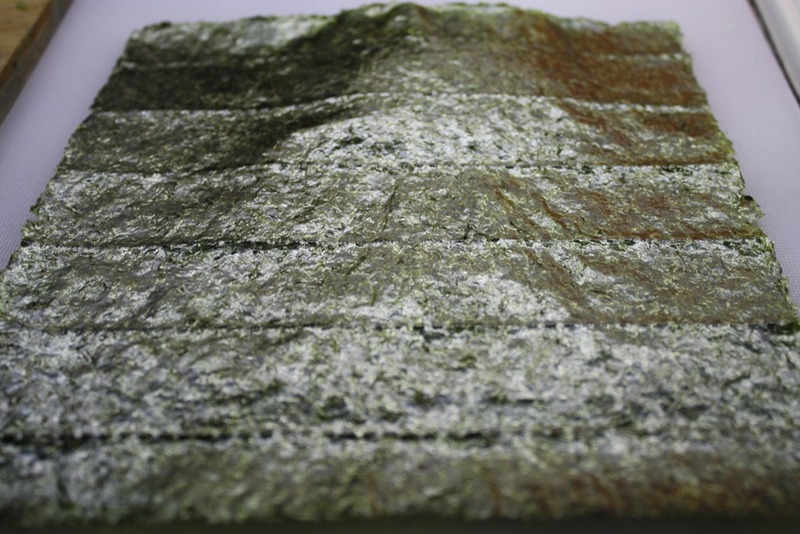 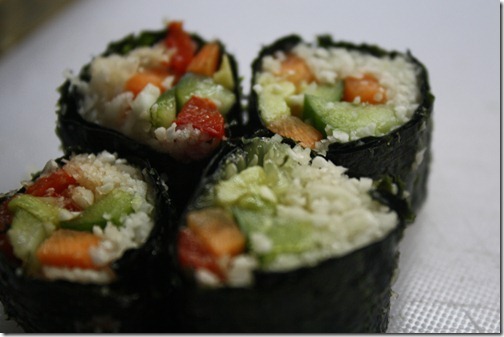 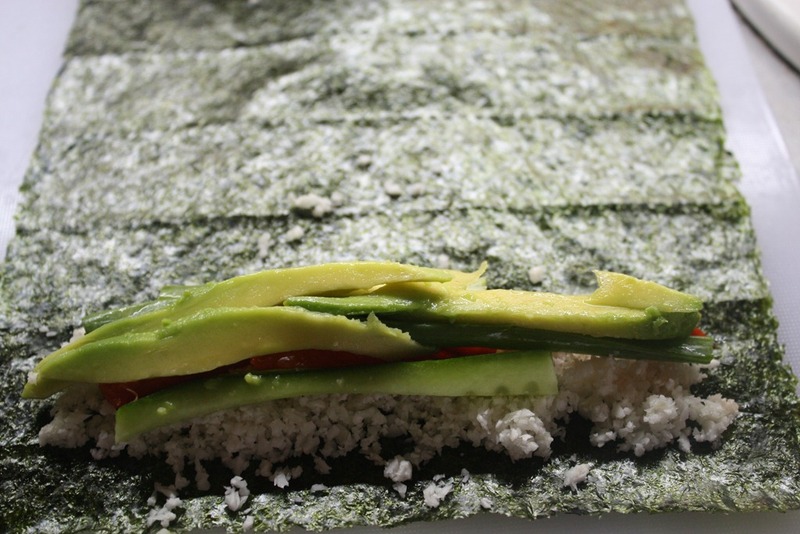 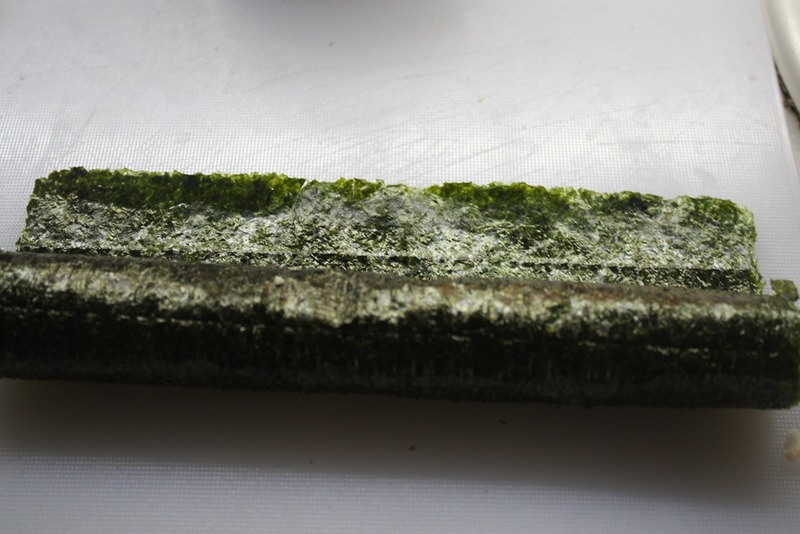 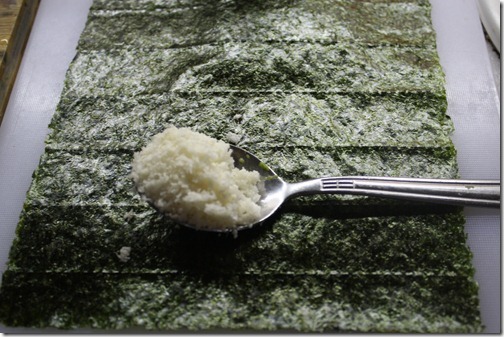 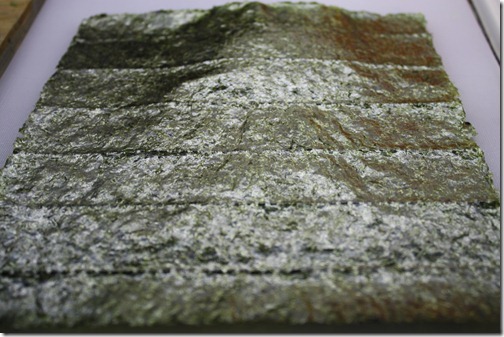 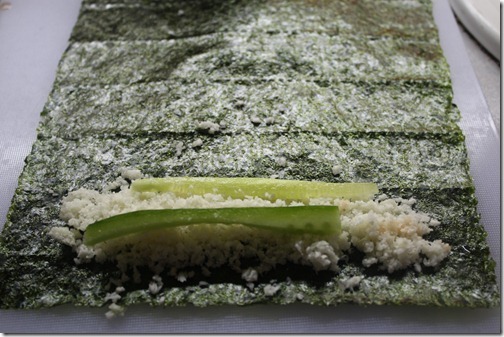 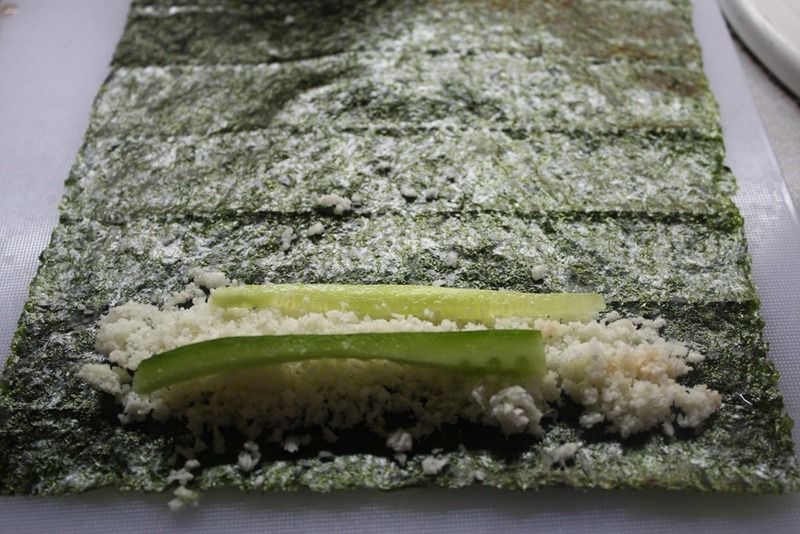 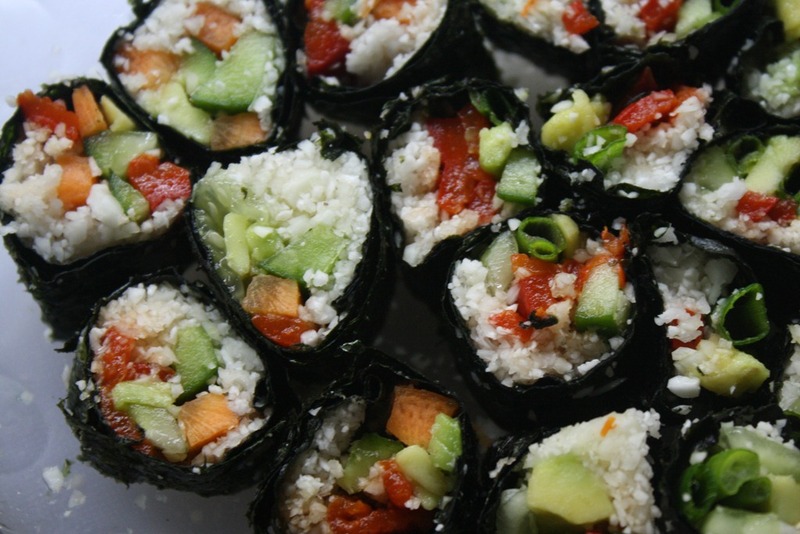 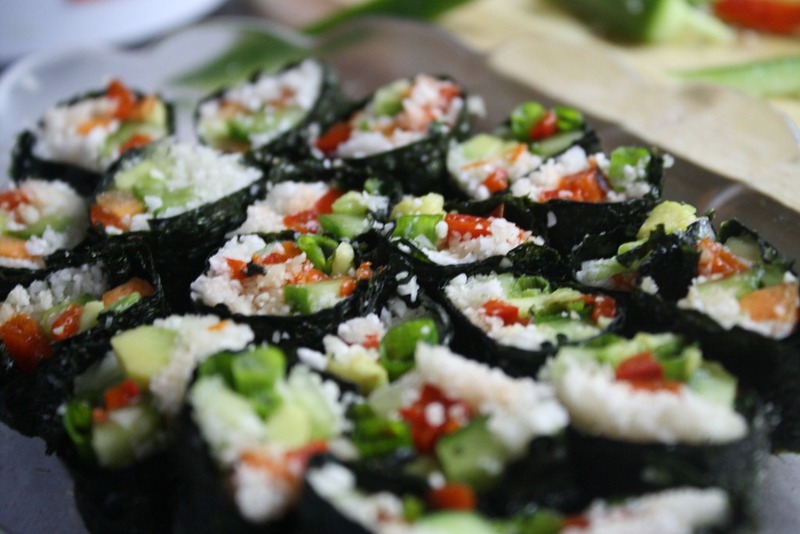 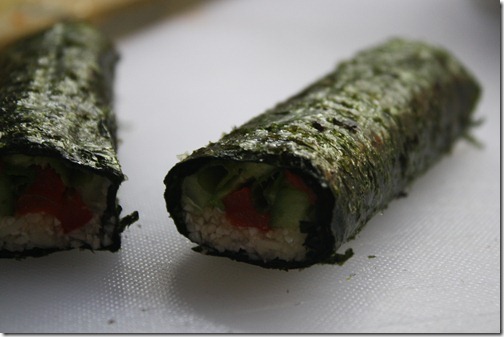 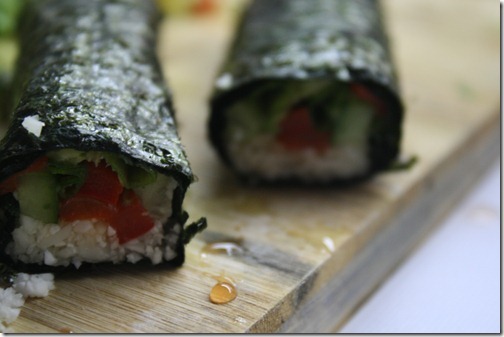 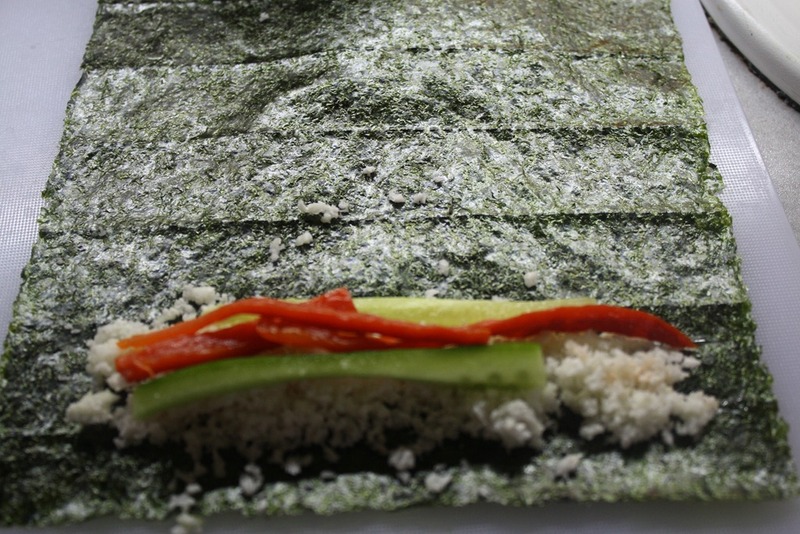 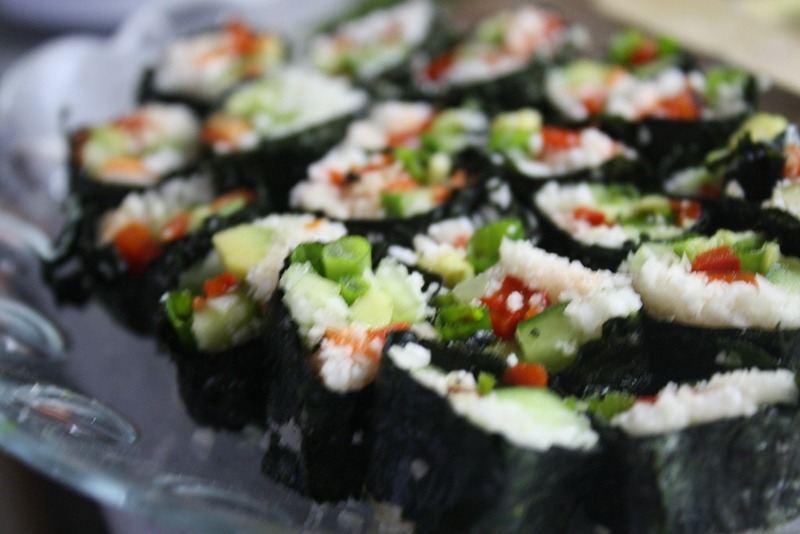 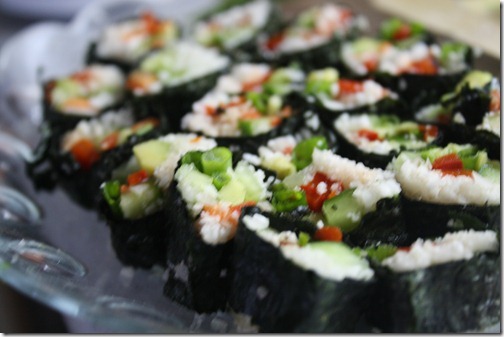 You want to roll the nori with the horizontal lines.